← Felted wool purse WINNER and SEWING!!! I hadn’t been able to get to any of the lecture-tours until this week’s destination — the Cathedral Church of St. Paul. There is still one more stop on the tour, St. Francis of Assisi Catholic Church in West Des Moines, that I’m hoping to get to (Tuesday, April 26 at 6:30 PM). 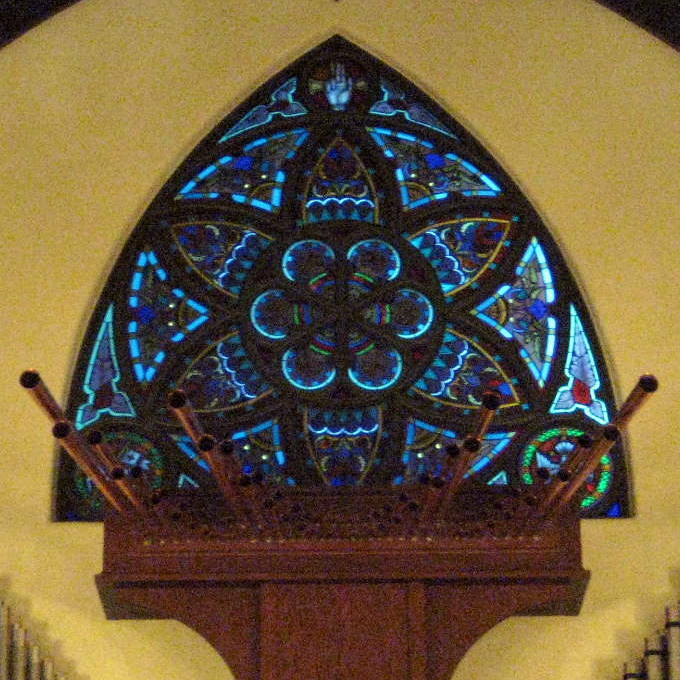 You can talk all you want about a rose window, stained glass, and Gothic Revivals. BUT I WILL LISTEN when you add Hoyt Sherman, a bomb explosion in 1970, and replacement of the three rondels. Other tours were given at Oreon Scott Chapel, Scotch Ridge Presbyterian, and Temple B’nai Jeshurun. This entry was posted in etc., home schooling and tagged architecture. Bookmark the permalink.